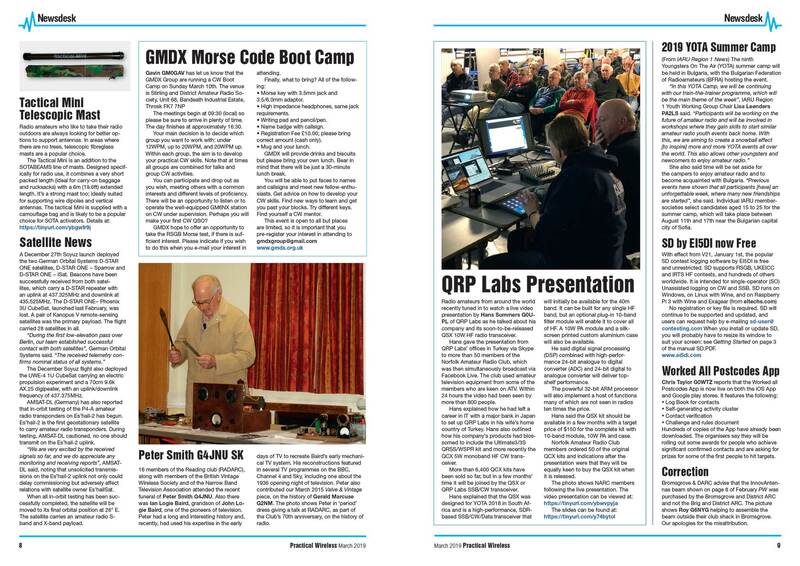 Weekend projects, museums and a new Icom rig feature in Don’s editorial, along with details of how to avoid the cover price increase. 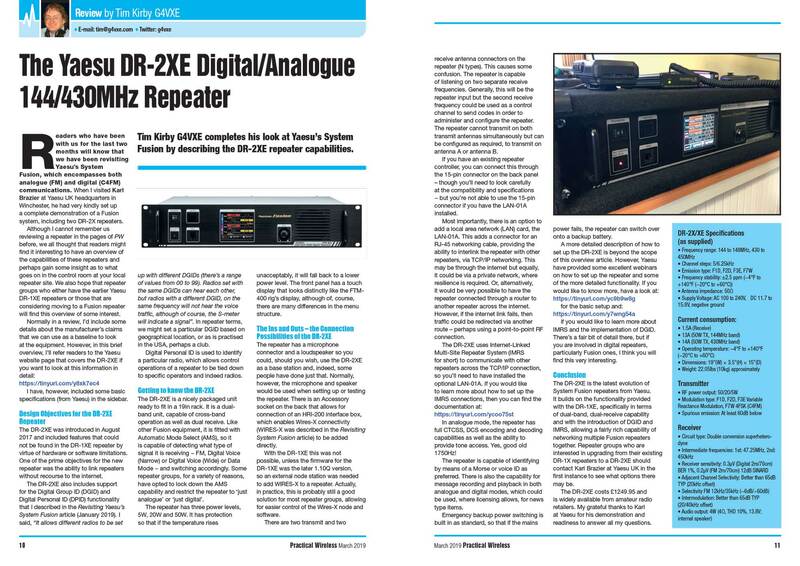 Tim Kirby G4VXE completes his look at Yaesu’s System Fusion by describing the DR-2XE repeater capabilities. Tim Kirby G4VXE gets a first look at the much-heralded FTdx101 from Yaesu. The editor, Don G3XTT, reports on the UK launch of Icom’s new VHF/UHF/23cm SDR transceiver. The second of three articles written to help club Education leads plan for the new syllabi that come into effect this coming September. 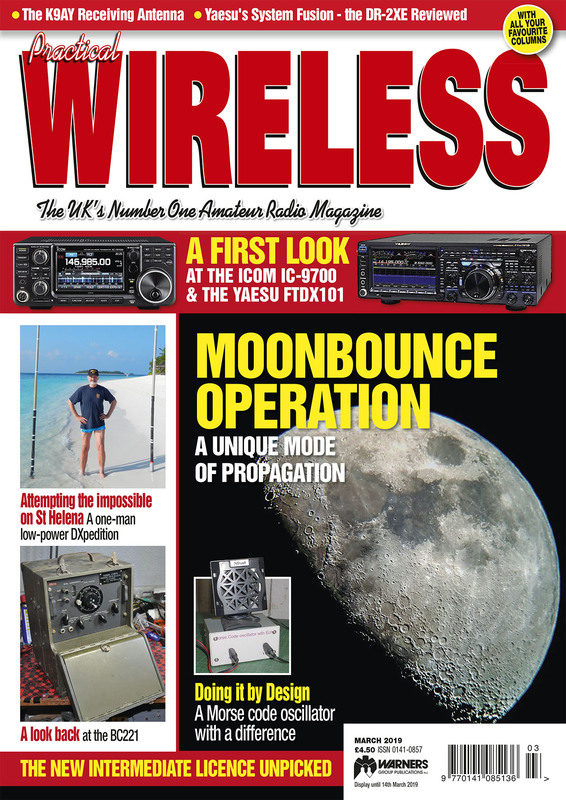 Steve White G3ZVW takes a look at a propagation mode that is very, very challenging − Moonbounce. Steve Telenius-Lowe PJ4DX takes a fresh look at one of the more popular low-band receive antennas. Tim Kirby G4VXE has the latest on Fox1-Cliff and lots of reports of activity resulting from the December tropo. 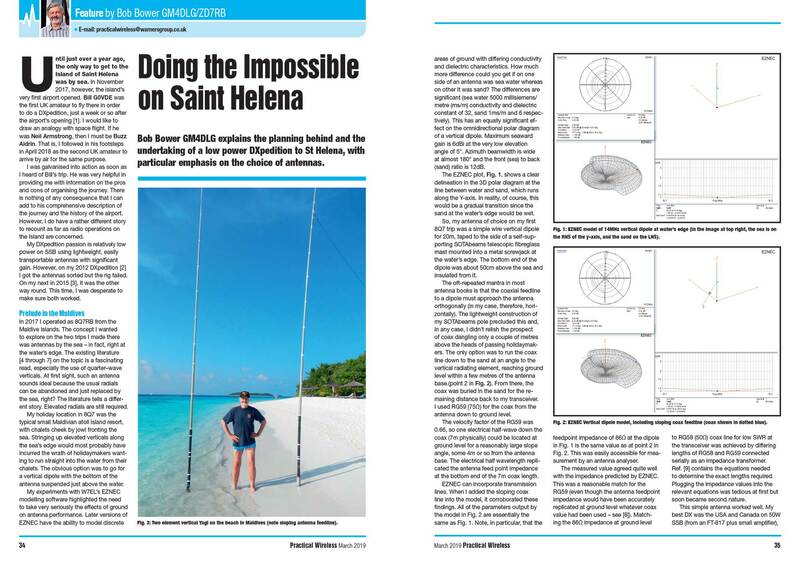 Bob Bower GM4DLG explains the planning behind and the undertaking of a low power DXpedition to St Helena, with particular emphasis on the choice of antennas. Eric Edwards GW8LJJ has an interesting variation on a Morse code practice oscillator. 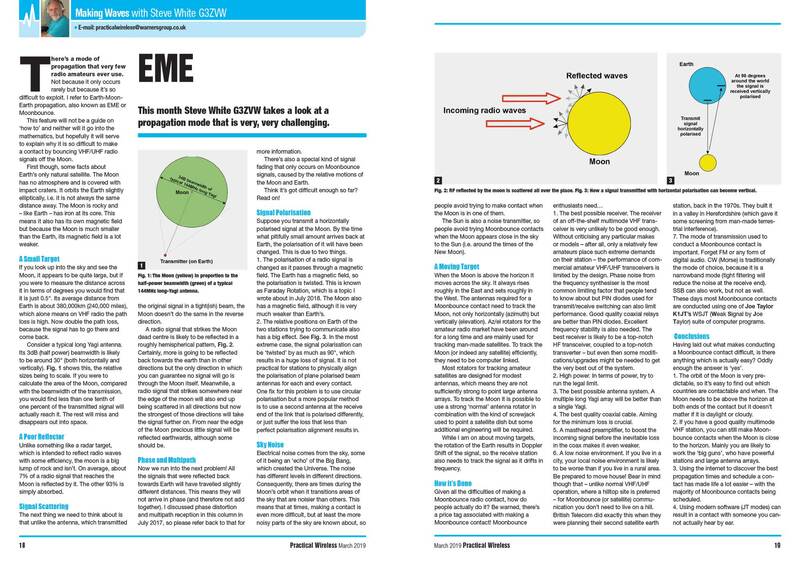 Colin Redwood G6MXL has quite a cornucopia of topics this time, starting with some awards for data modes contacts. 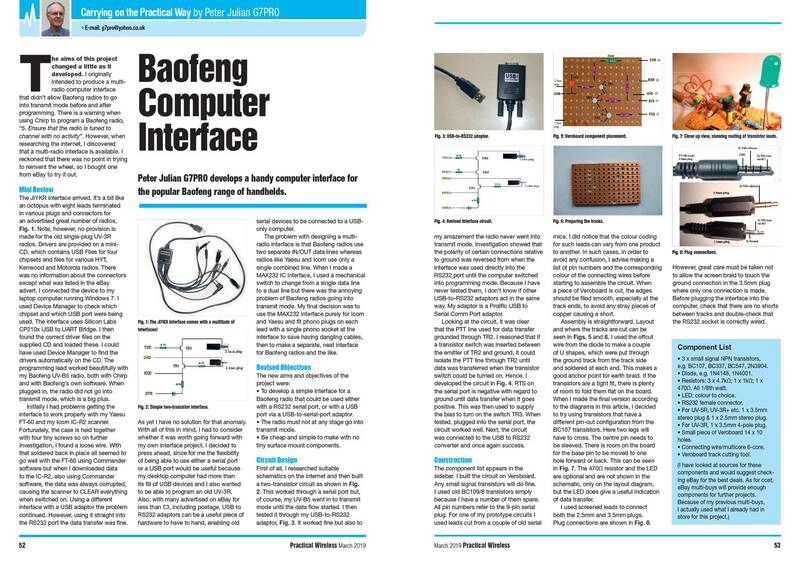 Peter Julian G7PRO develops a handy computer interface for the popular Baofeng range of handhelds. Duncan James M0OTG gets up close and personal with a classic BC221 frequency meter. Steve Telenius-Lowe PJ4DX has his usual roundup of HF news, starting with a useful guide to LoTW and an item from our correspondent in Gibraltar. Mike Richards G4WNC devotes most of this month’s column to a cheap option for HF WSPR reception. Lee Aldridge G4EJB looks at improving the station and investing in books (and the odd CD/DVD). Joe Chester MW1MWD braves the elements for International Lighthouse and Lightship Weekend. Dr Bruce Taylor HB9ANY relates how chance, ingenuity and conflict created the technology that dominated radio communication for half a century. Topics this time include emergency communications, reissued callsigns, antennas, elitism and more. There is also feedback on our Christmas Morse anagrams.